Have you found an online vendor selling Arehucas Honey? Enjoyed a half a bottle of Arehucas Ron Miel. Bottle and label design look very cheap and basic. Super strong honey flavor to both nose and palate. 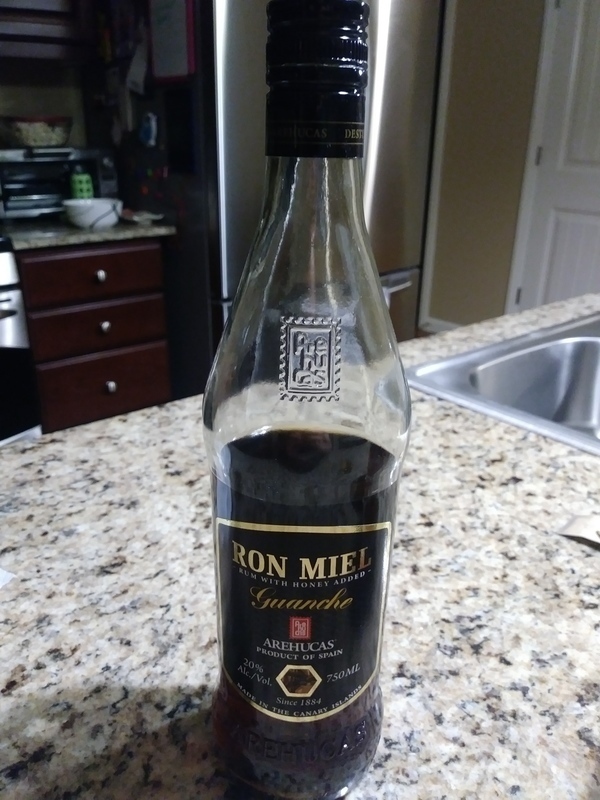 Ron Miel is bottled at 40 proof, so its much closer to a liqueur than a real rum. Arehucas is definitely something different, very refreshing indeed. This is much better than the Oliver y Oliver equivalent. Not a real rum, but that is to be expected from Spain, they left the knowledge of how to make a real Rum in Havana. 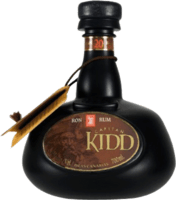 This is a Rum Liqueur, very thick, very sweet, use in moderation. If you drink straight, mix with a small amount of spring(or sparkling) water to make it more palatable (may as well drink mead), though can be a brilliant mixer for the cocktail master. While not being a true rum it's still way to sweet. The taste is a bit synthetic, like some caughmedicin. At only 40 proof this is a rum liqueur in my opinion and not a rum. However with that said it is a very sweet liqueur made with some generic honey. Now the part of Florida I live in is famous for Tupelo honey...considered the "Cadillac" of honey. I think if they used Tupelo honey in their rum it would be fantastic. This rum liqueur is sweet...a little too sweet if you ask me with a generic honey flavor. Now sure what sort of mixed drink it would work best in but this isn't a sipping substance. Some rum liqueurs make for a good after-dinner drink but the sweetness of this is overpowering. If they held back just a little bit it would be much better in my humble opinion. That's why I cannot give it a higher rating. This is a very good tasting sweet rum. It is only 40 proof some will not consider it a rum. My family loves it. It is not a Rum but it is good ias a Coffee shot.. Like the other Arehucas Rum Liqueur it is rather special. Zoete rum met siroop, honing en appel smaken. Op zich wel lekker als likeur. Maar geen échte rum meer.